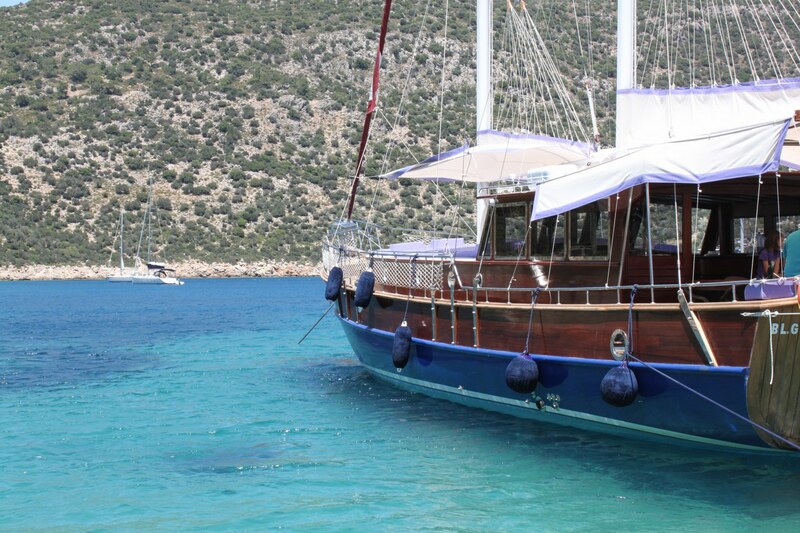 There is no better way to experience this truly amazing coastline than meandering lazily along the stunning Kalkan Bay where thousands of shades of blue and green are mingled in a unique atmosphere. 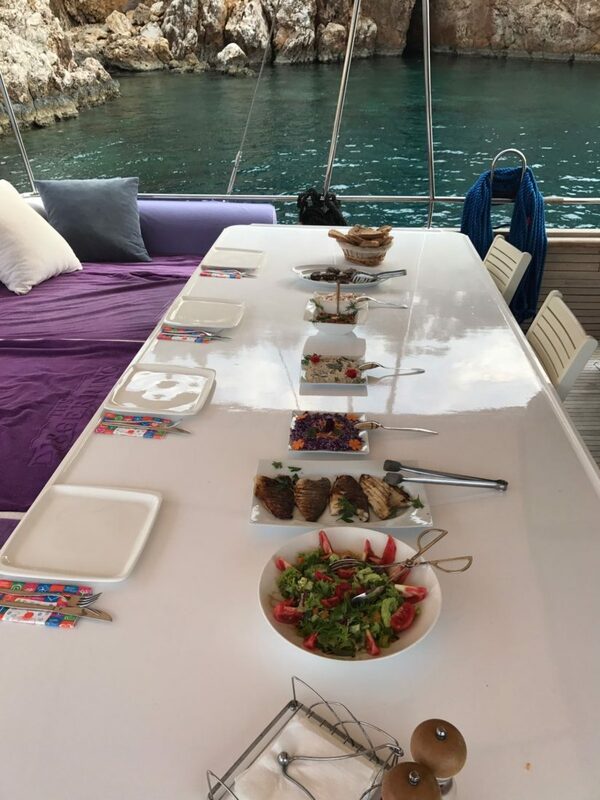 Fabulous lunch served on board. 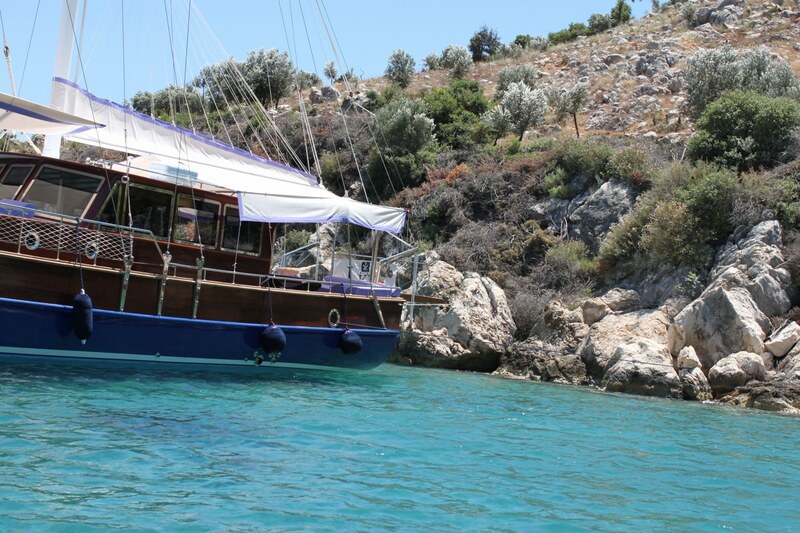 Swimming and snorkeling breaks at the local bays around the beautiful Kalkan Turquoise Coastline.The number of guests on board is restricted to 12 in order to ensure there is considerable space to relax in absolute comfort. 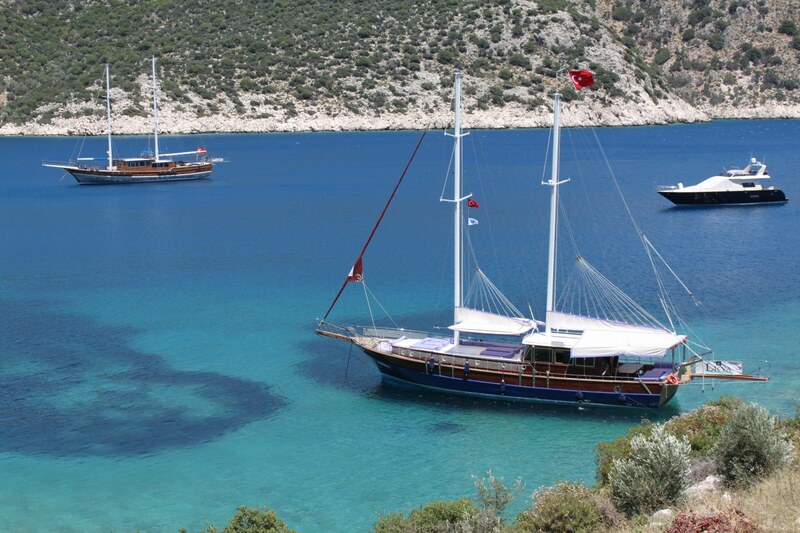 Price is displayed for the entire gulet and it is suitable for up to 12 guests.